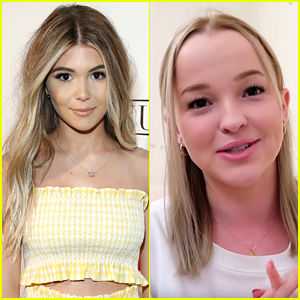 YouTuber Emma Monden, Who Was Rejected From USC, Reacts To Olivia Jade’s College Cheating Scandal | Emma Monden, Olivia Jade | Just Jared Jr.
All of us pretty much know what’s going on with the Olivia Jade and her mom Lori Laughlin‘s college cheating scandal. If you don’t, here’s a brief explainer: Lori was one of the dozens charged in the college admissions scam, which involved them paying elite colleges and universities including Yale, Georgetown, the University of Southern California and Stanford to guarantee admissions for their children. Now, Emma Monden is giving fans a unique perspective on it, as she was rejected from the same college Olivia got into with the help of her mom’s “donations”. Ultimately, USC did reject Emma‘s application and she ended up going to school at UC Irvine.